Chicago has been something of a laboratory for the rise of the Good Food movement. Farmers markets have boomed since the late 1990s, when the city’s Green City Market made local and regional food the standard. Interest in Good Food was boosted by a major presence of Whole Foods Market stores, which has been supplemented by other retailers who emphasize natural and organic products. Top chefs elevated “farm to table” from a trend to mainstream. 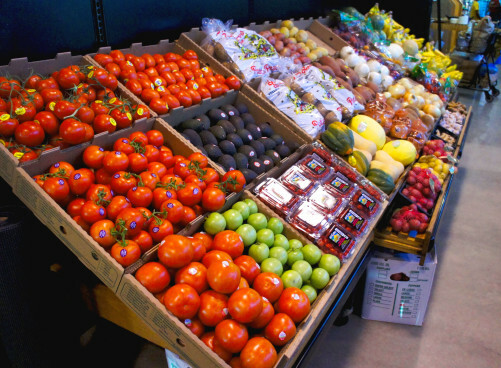 Yet there has been one element of the movement that has been largely missing in Chicago: food cooperatives, which invite members of the public to buy ownership shares and have a say in how the stores are run and what products they stock. For the past five years, the only food co-op in the Chicago region has been Dill Pickle Food-Co-op in the city’s Logan Square neighborhood. Until now, that is. Sugar Beet Food Co-op, located just west of the city in suburban Oak Park, held its Grand Opening last Friday (Aug. 14). And the store — which actually first opened its doors to the public two weeks earlier with its shelves stocked heavily with locally and sustainably produced foods — is the first in what bodes as an unprecedented boom in this region. If all goes as planned, the number of food co-ops in the Chicagoland region will jump to six within the next few years. There certainly are benefits to owning a co-op share at Sugar Beet, most of which cost a one-time fee of $250 per household (discounted to $50 for eligible seniors, students, and others on fixed incomes). These include discounts and opportunities to vote for the Board of Directors and changes to the co-op’s bylaws. But Muñoz emphasizes that, like most of today’s food co-ops across the country, Sugar Beet is not members-only: It is open to the general public from 7 a.m. to 9 p.m. daily. In the three and a half years since she launched the project, Muñoz has led the Sugar Beet team in a campaign of fundraising, owner recruitment, and planning. Their work has culminated in a 6,300 square-foot store that is located on Madison Street, on the ground floor of a recently renovated building designed in the 1920s (as a Cadillac showroom) by the late Albert Kahn, a famed Detroit architect. Yet when it all began, Muñoz was a stay-at-home mom who expressed her love for Good Food by cooking what she bought at Oak Park’s seasonal, once-a-week farmers market. Cheryl Muñoz, founder and project lead of Sugar Beet Food Co-op in Oak Park, Illinois, at the Grand Opening ceremony on Aug. 14. Anthony Muñoz, her husband (left), is also participating in the Good Food movement as marketing director for the recently opened Local Foods retail store in Chicago’s Bucktown neighborhood. 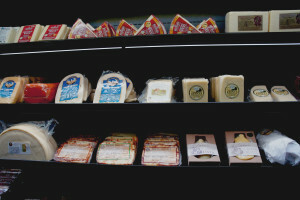 The idea for Sugar Beet started to gel when Muñoz stopped into the Oryana Natural Food Market in Traverse City, Michigan, while visiting relatives. “It’s a lot like a farmers market, the farmers were really celebrated, you know where the produce is coming from because it’s labeled as this family farm, and Farmer Joe is in line behind you at the co-op because it is an agricultural community,” she said. Oak Park is a community with reputations for progressivism and interest in Good Food (it is also the home base of FamilyFarmed, the nonprofit organization that publishes Good Food on Every Table). And her optimism about local enthusiasm, it turned out, was justified. The co-op has sold 1,200 ownership shares. Muñoz said that, subsequently, 72 of the owners made loans to the co-op in the amount of $880,000. Sugar Beet also connected with the Sustainable Local Food Investment Group (SLoFIG), made up of angel investors with interests in the Good Food space, by participating in FamilyFarmed’s annual Good Food Financing and Innovation Conference in March 2013. The early money Sugar Beet raised leveraged additional assistance from the Chicago Community Loan Fund along with the Northcountry Cooperative Development Fund. The project received the final boost it needed when it received $500,000 in Tax Increment Funding (TIF) funding from the village of Oak Park, including a $250,000 grant from the village for locating in the Madison Street TIF district. In fact, informing consumers is a core part of Sugar Beet’s mission. Along with the store, the project includes the non-profit Sugar Beet Schoolhouse, which conducts a variety of food education programs such as edible garden tours and a summer camp called The Good Food Experience. 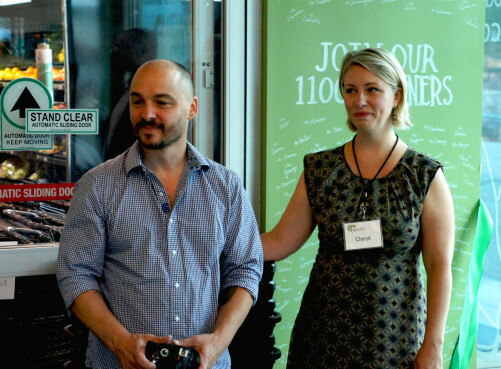 “This is the long goal, to really be part of the Good Food movement, to build infrastructure, to build a space for skill sharing and learning,” Muñoz said. 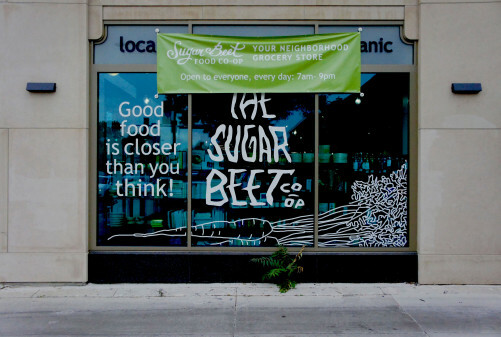 As the first in the new wave, Sugar Beet also is playing a key role in the recently formed Chicagoland Food Co-op Coalition. 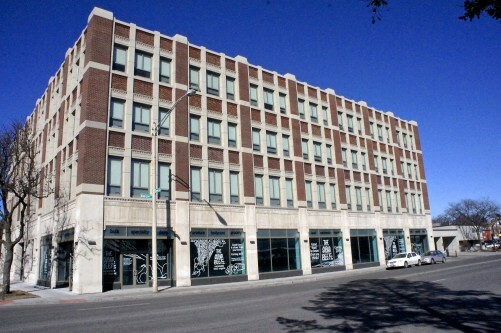 Along with Dill Pickle and Sugar Beet, the group includes the region’s work-in-progress co-op projects: Chicago Market, which has begun its site selection search on the city’s North Side; Rogers Park Food Co-op, in the neighborhood by that name at the city’s northern edge; and in the western suburbs, Prairie Food Co-op of Lombard and Shared Harvest of Elgin. But Muñoz notes that one of the most satisfying aspects of Sugar Beet’s opening weeks is how quickly the store and the coffee bar located inside its front entrance have become gathering spots for the local community. “That was the vision we had since day one, and I think we’ve already achieved that,” she said. 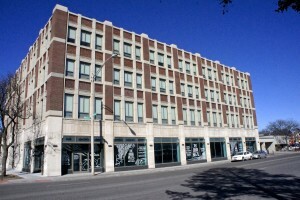 Sugar Beet Food Co-op is located at 812 W. Madison in Oak Park, Illinois. This entry was posted in Family Farms, Food and community, Food cooperatives, Food education, Food Entrepreneurs, Good Food Financing Fair, Good Food marketing, Local Food, Regional food systems, Small Farmers, Sustainable food education, Sustainable food retailing and tagged Chicagoland Food Co-op Coalition, Family Farmed, food cooperatives, food retailing, Good Food Financing &Innovation Conference, Good Food movement, Good Food retailing, Oak Park Illinois, Sugar Beet Food Co-op. Bookmark the permalink.